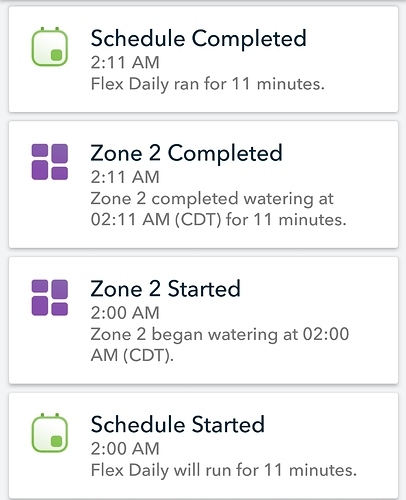 On my Rachio 3 I have Flex Daily set and I designated an end time of 6:10AM. When all zones are included the watering must start at 2:00AM to finish by 6:10AM. That’s fine. 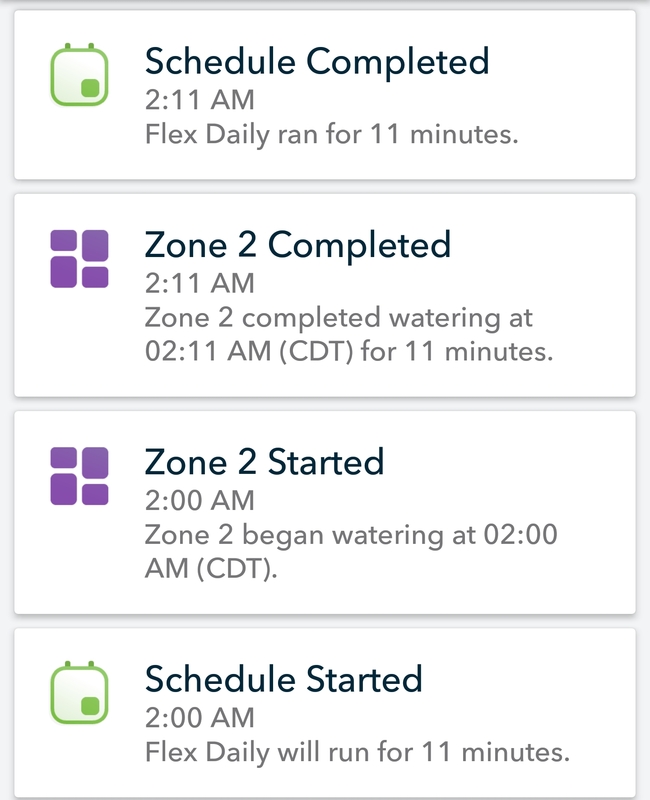 However, the start time is still 2:00AM when Flex Daily is only watering one zone for 11 minutes. Is this a bug? Shouldn’t the start time adjust accordingly so that watering always ends at the pre-set time? @dloethen Thanks for reporting this. It’s actually a known issue with some of the decisions that were made on the initial design. At some point we would like to revisit this and make it more optimal.